Welcome to We Like Shooting’s Double Tap, Episode 2, Tonight on sick burn we are all about mammaries. We’ll answer your questions on Dear WLS, we’ll talk about what’s for dinner, and revisit past gear! Black Rhino Concealment AD! WLSMOFO for 10% off! For Jeremy (or anyone) I'm looking at a Winchester Model 70 Extreme Weather as a precision rifle build. I'm going with .300 WinMag, because it will hopefully also be a long range hunting rifle. Given the 1:10 twist on the factory barrel, what is an ideal bullet weight for the rifle and do you have any other advice and/or recommendations given my plan? Shawn did you get the 10 mm vector yet? How do you like it? Where's my damn medal? What are the best low profile knee pads out there? Outside the clothes under the clothes etc. Oh, was I suppose to ask a question? Which gender is Ava transitioning from? If you could travel anywhere in the world and bring any gun in the world to shoot just basic targets, where would you go and what would you bring? It is their slogan and it is the essence of what they do. Each gun has 1 master gunsmith that puts together and builds out each gun exclusively. This is part of why they have higher quality and a higher price point. # NotGuns: THIS WEEK’S TOPIC: What did you eat for dinner? Trivia question of the week, In the video Xproducts Can Cannon vs Drone what brand of soda was used answer this question and you could win a free We Like Shooting T-shirt., submit your answer via automated@welikeshooting.com. We’re here live every week on Monday and Thursday and on demand every damn day. 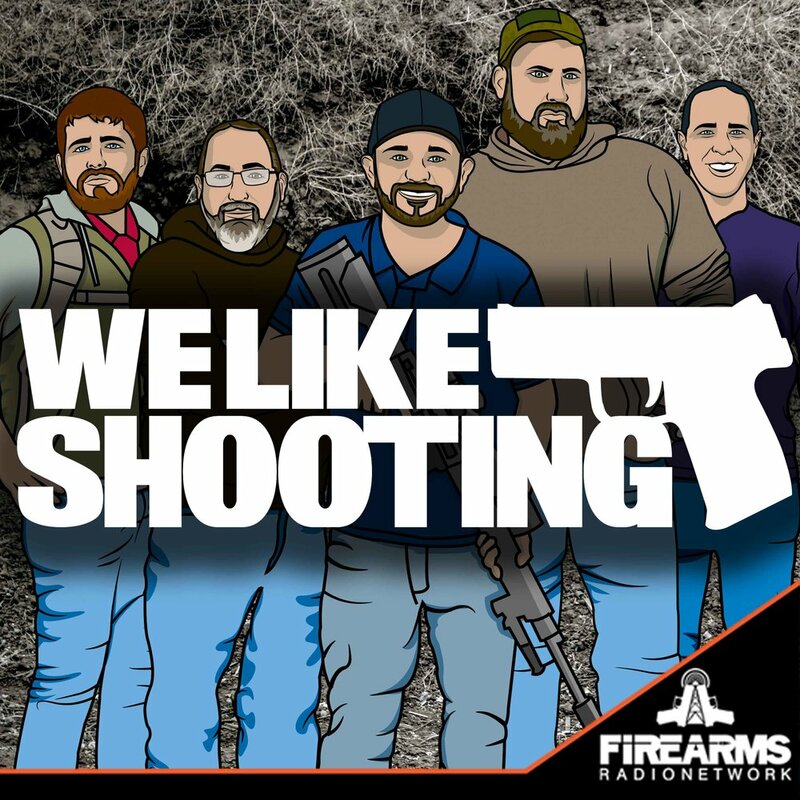 Go to welikeshooting.com/show to subscribe!